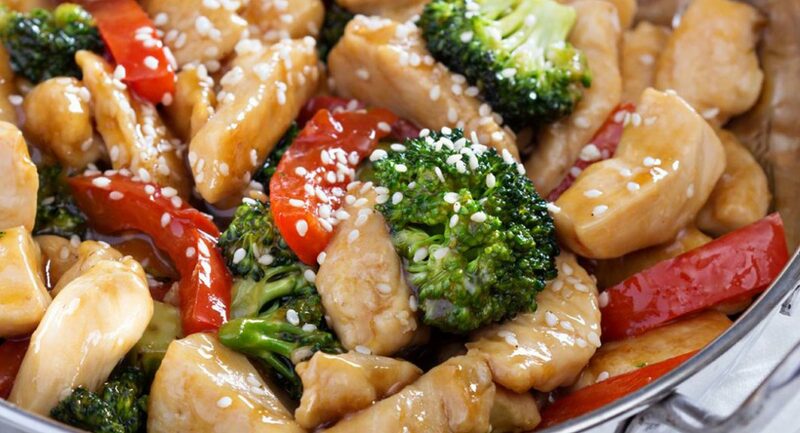 For a healthy weeknight meal you cannot go wrong with, try this chicken and vegetable stir fry. Heat coconut oil in a large frying pan or wok on high heat. Add chicken and sprinkle with salt and pepper. Cook for 3 minutes on each side, then place chicken in a bowl. Add another tablespoon of coconut oil to pan over high heat. Proceed to add ginger, capsicum, broccolini, and carrot and cook for about 2 minutes, frequently stirring. Add approximately 2 tablespoons of water, plus garlic, fish sauce, tamari sauce and lemon juice. Put chicken back in pan to mix through. Cook for another 2 minutes, stirring frequently. It is now ready to serve!